Matthew Spenko, associate professor of mechanical engineering in Armour College of Engineering’s Mechanical, Materials and Aerospace Engineering Department, was recently featured in a Chicago Inno article showcasing the “researchers that wowed us this year” from Illinois. 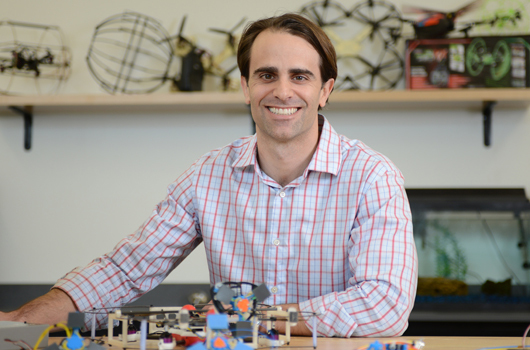 Spenko was featured for his research in the field of robotics. He is currently working with nano materials to develop robots with gecko-like grip and drones that can both fly and roll. Read the complete Chicago Inno article here.